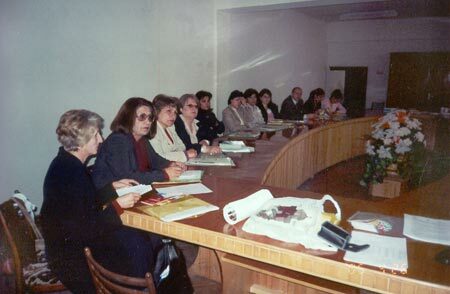 The problem of POPs in particular pesticides was brought to the focus of decision makers, public, NGOs, through wide raising awareness campaign, cooperation and collaboration with governmental structures and rural communities in Kotayk and Ararat marzes (June, 2004 – June, 2005). 2 seminars were organized in Kotayk and Ararat marzes (regions). 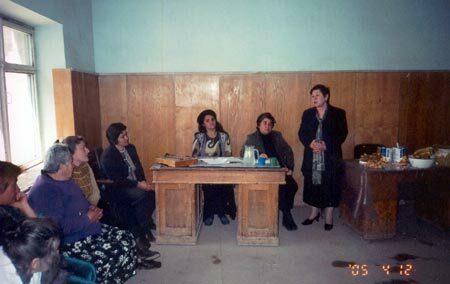 Meeting with women, environmental and medical NGOs on the problem of pesticides and reproductive health was organized in Ararat marz. Six leaflets were created and published for dissemination in rural areas. Poster was created and published for dissemination. Two Info bulletins were created and distributed through environmental NGOs. 42 probes of breast milk were investigated in order to detect pesticide contamination on the base of National Institute of Standards and Quality” (testing laboratory). 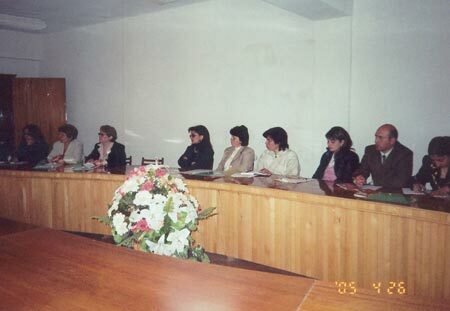 In order to advocate PURE policy in Armenia the translation of “Moving towards Pesticide Reduction” was done and distributed through interested stakeholders, e.g. governmental, NGOs. 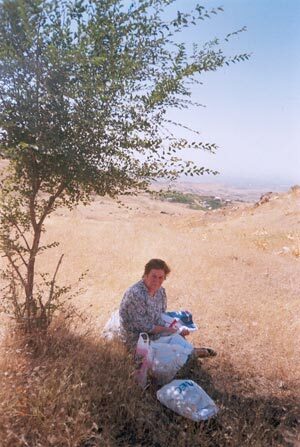 2 volunteers of AWHHE carried out the survey in Hayanist Village Ararat Marz and the results were included in the Project Report, done by WECF and German University of Hamburg . See website www.awhhe.am /projects/. Website of AWHHE was updated. Capacity building of AWHHE was strengthened. Participation in several international events such PAN annual meeting in Barcelona connected with Pesticides issue. Electron discussion on pesticide issue was made through interested environmental 9 NGOs in Armenia. There is no clear understanding about PURE and sound alternatives and strategy even among decision makers in Armenia . There is a great necessity of wide PURE advocacy and raising awareness campaigns among rural population. Rural people need trainings on Integrated Pest Management with conversion to alternative agriculture. Even though that DDT was banned in 1972, in all samples of breast milk of rural women DDT and its metabolites (DDD and DDE) were found what is the evidence of DDT continuous usage. There is a big necessity to unify environmental NGOs for networking around POPs issue in particular of environmentally sound agriculture. The entire staff of the NGO AWHHE is deeply grateful to GGF funded the project Alarm of Pesticides in Armenia by their invaluable support made it possible to implement all proposed objectives.